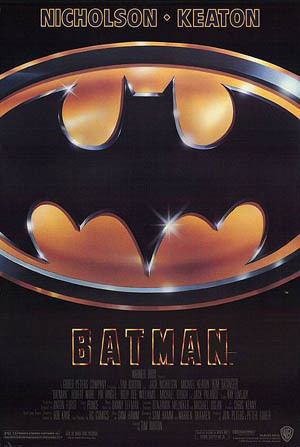 Batman is a 1989 superhero film based on the DC Comics character of the same name, directed by Tim Burton. The film stars Michael Keaton in the title role, as well as Jack Nicholson, Kim Basinger, Robert Wuhl and Jack Palance. 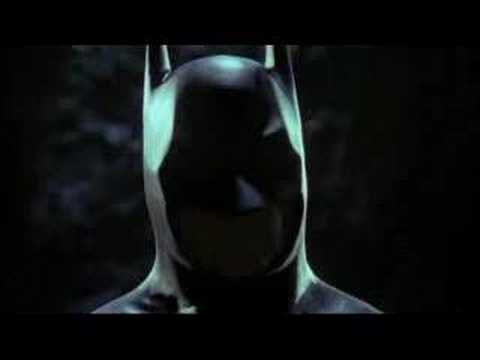 The film, in which Batman deals with the rise of a powerful villain known as "The Joker", is the first installment of Warner Bros.' Batman film series. With Burton's hiring as director, Steve Englehart and Julie Hickson wrote film treatments before Sam Hamm wrote the first screenplay. Batman was not greenlighted until the success of Burton's Beetlejuice (1988). The role of Batman was considered for numerous A-list actors, while Nicholson accepted the role of the Joker under strict conditions that dictated a high salary, a portion of the box office profits and his shooting schedule. Filming took place at Pinewood Studios from October 1988 to January 1989. The budget escalated from $30 million to $48 million, while the 1988 Writers Guild of America strike forced Hamm to drop out. Uncredited rewrites were performed by Warren Skaaren, Charles McKeown and Jonathan Gems. Batman was a critical and financial success, earning over $400 million in box office totals. The film received numerous nominations at the 62nd Academy Awards, 47th Golden Globe Awards and Saturn Awards. It has also inspired Batman: The Animated Series, a series of films for Warner Bros. and redefined the modern perception of the superhero film genre.